With almost a year having now passed since fabric reopened its doors after regaining its license, it has now been announced that the excess money raised for the campaign to save the club will be divided across a number of charities. 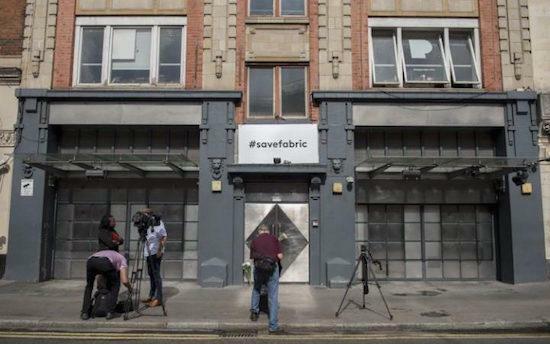 "After much discussion and thought we have decided to close the administration of Save fabric London Limited," a statement says announcing the decision. With a remaining excess of £67,716.40, the team at the club have decided to donate £13,543.28 each to drug safety charity The Loop, The Nighttime Industries Association, Music Venue Trust and homelessness charity Centrepoint. Further to that, £3,385.82 will be donated each to Midi Music Company, Make-A-Wish UK, Nordoff Robbins and The Young Urban Arts Foundation. "In concluding this campaign I know I speak for every member of the Team who call fabric their home and place of work in saying Thank You so very, very much for all your support and efforts," the statement concludes. "We’re excited about putting the past behind us and moving forward. Really hope to see you all soon."